I’ve had many fulfilling “lives” during my not seeming very long life. I began my career as a high school mathematics teacher... then taught nursery school when my two children were young. This part of my life also involved helping to start up a wonderful alternative school based on the British Integrated Day system of education, a school still in existence after 40 years. When my children entered primary school, I went back to school and earned a Law Degree and an MBA in Finance. I then began my 20 year career as a corporate attorney with responsibility for employment related matters. While my years as a corporate attorney were very satisfying, I did take up playing the harp and making textile art as a balance to my corporate responsibilities. After I retired from corporate law, I began in earnest a new career as a textile artist focusing my art primarily on social justice and anti-war issues. I again continued my education, participating in a three year Mastery Program in Textile Design. 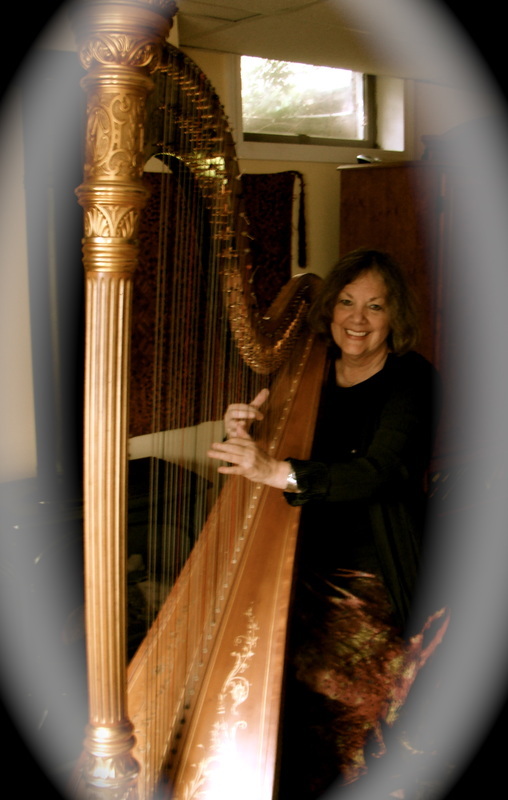 Although I now have a small harp playing business sharing my music with couples who are getting married, my primary passion continues to be focused on my art. And I never wake up without some pressing topic calling me to my studio to start work on. I am a very lucky woman.